​Our goal at POGO SEMINARS INC. is to help Orthodontists, General Dentists and Pediatric Dentists manage developing occlusions in growing children. Through continuing education seminars and case management services we provide our clients with expanded opportunities to generate income and provide superior client retention. We have been providing CEU seminars and case management services to the dental community since 1980. Using up to date research in early treatment and complete orthodontic care, and decades of clinical experience; allows POGO SEMINARS INC. to increase your ability to diagnose and treat pediatric patients. Thus achieving our mission of providing Orthodontists, General Dentists and Pediatric Dentists with a unique opportunity to expand their practices. 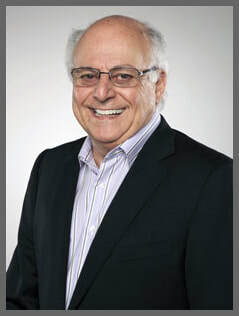 has practiced as a dual specialist in Pediatric Dentistry and Orthodontics since 1976. Dr. Miranda has lectured throughout the US, Europe and S. Africa. Today he consults with individual doctor clients on one-to-one basis to maximize their individual practice goals. Dr. Miranda graduated from Baylor University, College of Dentistry (1959), spent two years in the Army Dental Corps, graduated from Univ. of Missouri at K.C. in Pediatric Dentistry (1963). Graduated from Baylor Univ. in Orthodontics (1976). Completed coursework towards a PhD in Physiology at Baylor Univ. (1978). He founded POGO Seminars, Inc. (1980) an ADA accredited CEU provider. ​Received his PhD in Education from Univ. of North Texas (1990). From 1978-1990 he taught at Baylor College of Dentistry in both the Graduate Programs of Pediatric Dentistry and Orthodontics. Lately Dr. Miranda has been involved with practicing and teaching dentists to expand their practices with Early Orthodontic and limited Complete Orthodontic Therapies as a way to expand their services to their existing patients.